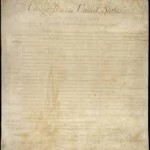 Have you ever familiarized yourself with all 10 Amendments in the Bill of Rights? They often appear to many people as cut and dry in regards to their meaning, but courts often have a hard time interpreting them. If you’d like to know just the general basics about the 8th Amendment, associated with bail, read on here. This contents of the 8th Amendment: “Excessive bail shall not be required, no excessive fines imposed, nor cruel and unusual punishment inflicted”. Each of these statements has had challenges reach the supreme court, where their interpretations change based on the decision. As a voter, you have a portion of the say on how these interpretations go. If you inform yourself about different areas of politics, you can elect people who share your views. We here at ATX Bail Bonds will help ensure bail rights remain in effect. If you require bail services, you can speak with one of our licensed bond agents. To find out more about our services, just give us a call at (512) 834-2245.